Do you want to impress your friends with a posh-looking sauce but can’t be bothered with the fuss to make it? Try my cheat version of the Béchamel sauce, a French cuisine staple: you’ll only need a microwave and a couple of heat proof mugs and you will fool them all. 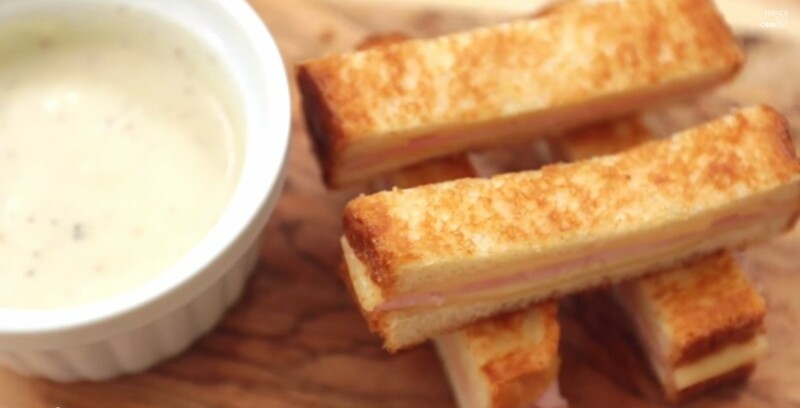 This white sauce is the perfect complement to my Croque Monsieur sandwich but it will also serve you well with lasagnas and mac ‘n cheese. It’s definitely a keeper. In a heat proof mug place one big tablespoon of butter, in the other mug pour the milk. Place in the microwave at full whack for 30″. You want your butter melted and your milk hot. Add one tablespoon of flour to the butter and stir (hey, you are making a roux, how fancy!). Add the milk stirring. Don’t forget to add salt, pepper and as much freshly grated nutmeg as you like. Place back in the microwave for sessions of 30″ each until your Béchamel is thick and coats the back of a spoon. If you use it as a complementary sauce pour it in a ramequin.